Now that I am a mom my essentials have really dwindled down. I no longer carry a big bag around with tons of unnecessary items. These days I have my “go-to essentials bag” that I stuff inside my diaper bag. These essentials I have discovered are the ultimate go to. For years I have been able to rely on these few items. Every woman has those few things that they can’t leave the house without. 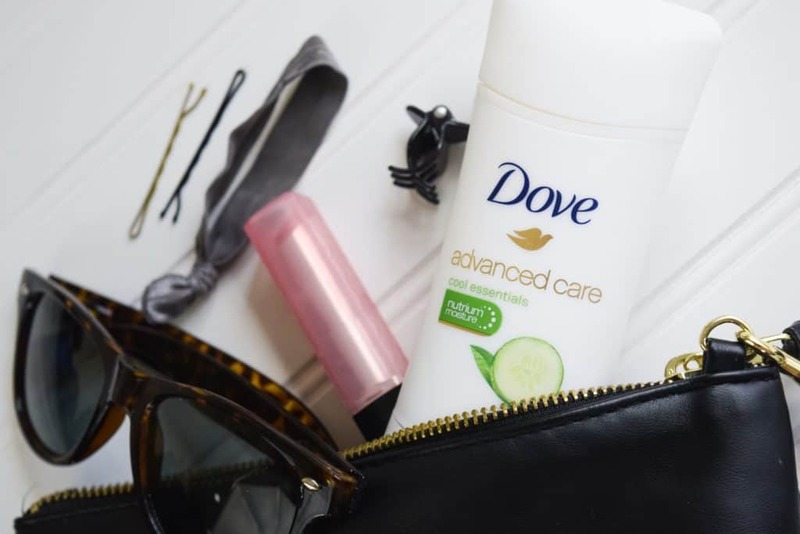 Today I am so excited to partner with Dove and Simply Stylist to share my experience with Dove Advanced Care Antiperspirant. Dove Advanced Care Antiperspirant keeps me feeling fresh all day and makes my skin soft and smooth. It has been a go to for my for years. It was an #essentialupgrade to the previous deodorants I have tried. I’ve got a confession to make…a few years back I did laser hair removal on my underarms. The positive- I get a lot less hair under my arms and I shave less often. The whole never shave again thing…lies, it did not work out that way for me. I still have to shave. The negative- my underarms are SUPER sensitive and react badly if I use anything other than Dove. No really! I start looking like an Ape in the Zoo and can’t help but scratch under my arms constantly. Of course after scratching you then open hair follicles which makes it more sensitive and itch more. Trust me, it’s not a cute situation. Once I discovered that Dove was able to offer me 48 hours of odor and wetness protection, plus its Nutrium Moisture formula was able to leave my underarms feeling soft and smooth I stocked up! This of course is my #1 essential in my bag. 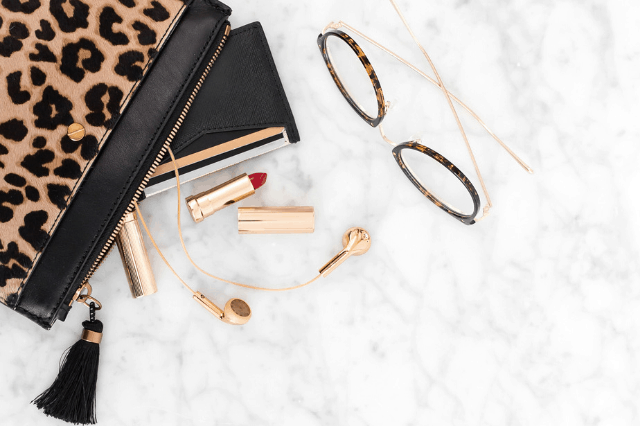 What are your essentials that you count as a “must have”? Let me know! I’d love to hear!